Real Madrid have been going through one of the worst seasons in clubs long history. After winning Champions League consecutively three times in last season and adding one La Liga title along, Real Madrid will end this season as trophyless. Real Madrid board have had appointed two managers since Zidane left last summer in hope to continue the era of success they had under Zidane. But, both of these managers failed. Although Solari showed some good signs at first, his differences with the key members of the squad and the team's performance on the field in recent big games affected his image in the eyes of the board members of Real Madrid. Pressure came from all the sides on Solari's job, whether it was the board, fans or the reports of his differences with his own team players. Now, with Zidane being re-appointed, Real Madrid fans have been given a new belief in their club. Even the Real Madrid president had been under pressure from his fans for his decision making. First, for not replacing Ronaldo and then replacing Zidane with two coaches who had an unsuccessful spell at Real Madrid. But Zidane's appointment not only solves the problem for Perez. 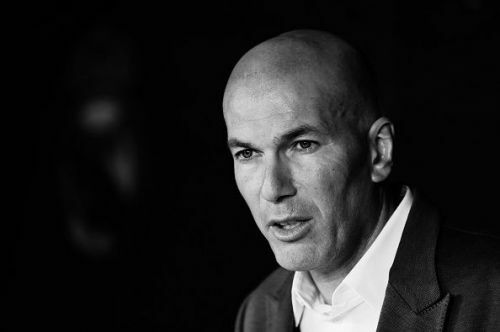 The biggest problem that Zidane's appointment will solve is that he will reunite the fans, the club, and the squad. Real Madrid supporters have been a divided bunch since last few months. Some were asking for changes, while some still supporting their beloved club in hope things will turn around. While the reports of a rift between the squad members made the environment surrounding the club sourer for everybody involved. Club's big superstars like Isco and Marcelo were being benched by Solari, and it caused issues within the Real Madrid squad. Zidane's appointment brings together the squad affected by decisions and results under previous management. Zidane's bonding with the squad members and the success they shared under him in his previous spell in charge will prove to be a big influence. With new hopes being provided to the Real Madrid faithful with his appointment.